SMI is adept at designing, executing and analyzing feedback from a variety of stakeholders including governing bodies, members, individual customers, suppliers and internal employees. Such feedback is then analyzed and leveraged for strategic planning purposes or for ongoing organizational excellence and quality delivery. Satisfaction Surveys – Satisfaction represent the desired outcome for all organizations. SMI helps clients to design survey instruments, target appropriate stakeholder groups, and execute repeatable and sustainable feedback cycles. Service Interaction/Transaction Surveys – At the point of service or receipt of a product, the experience feedback is critical to client organizations. SMI helps to identify the customer engagement model to understand where to ask and how to ask for critical feedback to optimize quality. Complaint Capture and Management Systems – At a base level, all organizations should possess an effective and easily accessible method to capture and manage complaints. 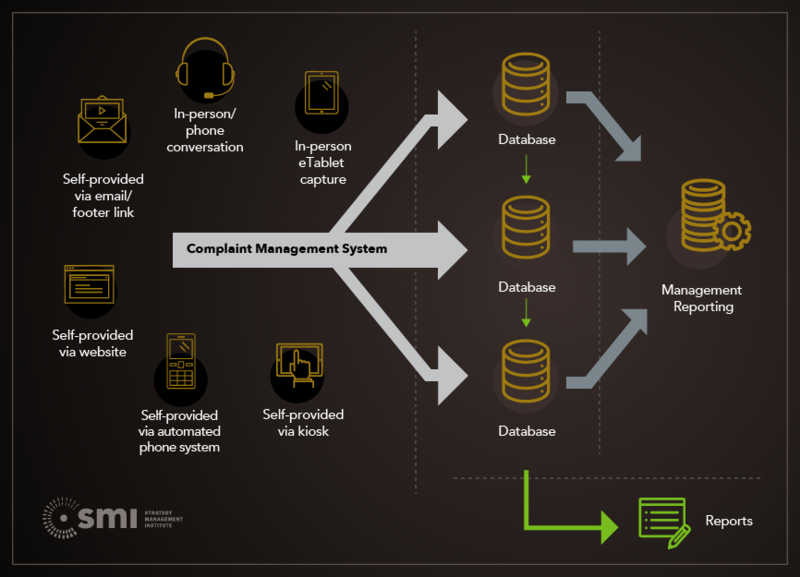 SMI helps to design the complaint capture approach to ensure customers and other stakeholders can easily and articulately provide complaint feedback – which is then connected to an effective handling and resolution process. Employee Surveys – The driver of strategy and organization excellence rests with the effectiveness of employees and the realities of a culture. SMI works with clients to design strategy-aligned employee surveys and exit interview techniques to ensure viewpoints, perceptions and underlying root causes are understood.